Businesses devise a billion ways of wooing customers, every day. If a chatbot can be a useful accomplice toward that end, why not give it a try? Afterall, who wouldn’t want a tool that can hold an intelligent conversation with customers, make them feel comfortable and bind them to your business. Recall that memorable scene from the award winning 2003 film, Lost in Translation, where an aging American actor, Bob Harris (played by Bill Murray), is on a set in Tokyo to shoot a whiskey commercial. The director, Yutaka Tadokoro, begins instructing Bob in Japanese, and the slapdash interpreter fails to capture the meaning—namely, it gets lost in translation. The process bogs down, and the commercial is a disaster. You don’t want human-to-computer interactions to end up that way, right? But one-way communications prove to be too exasperating to users. People give up on trying to get a machine understand their intentions in a few clicks and presses. There’s that missing vibe, that interactive component in any human-computer engagement; and it’s the main reason a vast majority feels they must adapt to the technologies they use, rather than technology adapting to them. Enter 2018, and we have artificial intelligence (AI)-driven chatbots that are revolutionizing human-computer interactions just the way the humans want it. Chatbots today are more adaptive to the way people speak and mimic their emotions to the nearest binary. 2018 is paving the way for a great chatbot innovation. Meanwhile, developers are working tirelessly to bring in new consumer experiences to market. For example, once WhatsApp opens to bots next year, it will unlock direct access to over one billion new users. Chatbots are continuing to push the envelope of new technology further. To reckon with, a chatbot isn’t an additional handle on your website or a fancy add-on. It’s the need of the hour for every business that’s flourishing or aspires to flourish. In a market that’s fiercely competitive, customers expect to receive accurate information quickly enough to make a decision. As a business owner, you need to cater to that need. If you don’t have funds to recruit more people to answer all the questions customers throw at you, then deploying a smart chatbot can rescue your business in that case. But then intelligence also matters as it determines the kind of tasks or conversations your chatbot can handle. Needless to say, if you have a clear set of activities preconceived in your mind, you can build awesome customized bots. Let’s take you through a short read about 5 important things that can make a chatbot intelligent. The bot needs to be quick and intelligent enough to understand the context of the conversation happening in real time. It’s about sense and sensibility, in conversations. Normal human conversations are replete with instances of switching over context while talking, while at work - resuming a task, discarding the current task and switching to a newer one, or in general hold a task while the other is being executed and work on follow on. Human conversations tend to switch between contexts and variables (intents and entities), often combining multiple things into one. Sample this response to a flight booking bot for example, "My Destination? San Francisco. But how's the weather over there?" What should be the bot’s response here - capture the entity and continue booking or check the weather before that? You may argue that a bot is after all a machine and cannot absorb emotions, but all said and done, it also depends partly on how much capability you build into it. So, it must be clever enough to filter the feelings of the customer. The bot needs to understand, analyze and respond based on the human emotion. For instance, if a customer messages an online shopping portal saying, “Your service is amazing, the delivery of items are always 2 to 3 days delayed”, none can miss the biting sarcasm intended in the statement. But if the bot isn’t developed to cater to this sort of sentiment, it may end up answering in a horribly awry manner. Intelligent bots will have: Sentiment analysis, context switching, hold and resume feature. It’s important to remember that a chatbot must give vibes closest to humans as much as possible. The way humans carry the stamp of their personality and style, bots too need to be enabled to do that. When asked about something, a bot must respond in a particular way and pattern that sounds like a human. This warms the user/customer and makes him feel at ease during the conversation with a chatbot. store the user profile with information like first name, last name and make it accessible to all the systems for the convenience of the user. It’s important for a chatbot to keep a current task which is being executed in an active mode and store information. As a corollary, customers appreciate and connect with the support executives (call support executives/shopping store helpers) who can remember their preferences, can validate their purchases, help them with more information on products, and basically give importance to them while attending to their queries. For example, in a Forex platform the currency against each country is maintained constant across all systems for everyone to access. The platform tends to store the first and last name of the customer, their last transaction and their payment options. Chatbots now have the responsibility to standardize their understanding of a customer and respond to them accordingly, whether in the manner of communicating or the speed with which they resolve their query. Chatbots need to converse with customers to extract this information and keep up to their pace. Chatbots are expected to break the complex structures of conversations into simpler tones and bring to a logical conclusion. Here’s where ‘Artificial Intelligence’ comes into play. Among the many types of chatbots, the most common ones are task specific that cater to a specific job, with pre-loaded answers and information. These type of chatbots have the ability to gather data from the internet, previous company database and other sources. Therefore, these bots are able to reply to diverse queries. The intelligent bots, in addition, have the potential to mold the conversation the way the customer wants and guide him towards a specific solution. In an office setup, it’s common for a conversation like, “Hey Lisa, set up a meeting with Phani if he’s free”, to be handled between a Boss and Secretary. To enable that, the chatbot needs to first look up the calendar of ‘Phani’, find a suitable time for a meeting in sync with the Boss’s schedule and then reschedule the meeting. Chatbots thus need to break up complex sounding conversation into simpler nuances and then execute the task sequentially and logically. Intelligent bots can also break down the conversation to its essence and action items. Let’s look at a very common scenario: ‘Customer tries to book tickets for 14th August, confirms on the choice of airlines, origin and destination and navigates to the next page, but feels that the pricing is very high. The customer then asks the bot to check for ‘15th August instead’. Here, based on the situation, the chatbot is acting and will be able to display the new prices by changing the date of journey. Intelligent bots will have features like: Amend Entities, Planning. An intelligent chatbot can not only handle queries smartly and remembers them through the session, but also learns new things with every conversation that happens, saves them and uses them appropriately for future instances. The simplest thing to do when writing responses to command and inquiry utterances in a conversational UI is to get straight to the point: respond with facts. That’ll remove a lot of the ambiguity and simplify the dialogue. It’s up to the intelligent chatbot to adapt to the way the human responds - with the referential context (or) pauses (or) specific context (or) synonyms (or) repetition (or) abbreviations (or) variations in dialect. The chatbot needs to map it pre-contextually. But like their human counterparts, chatbots’ conversational skills determine whether they earn you seamless, scalable transactions or just another horde of pissed-off customers. This needs a lot of training by the chatbot to help continue the conversations to the logical ending. Intelligent bots will have features like: Sync, Repeat, Interruptions and Pauses. Although AI chatbots’ task is complicated and they need to be built up that way, yet the effort should be made to keep it simple. They need to be comprehensive yet detailed. A customer initiating a conversation with a chatbot might already be troubled due to some poor service related issue, hence it’s better not to irk him further with complex interaction. The bot should be answering the already irked user/customer in a most precise way possible without confusing the person further. It’s easy to figure out if you are talking to a bot or a human. Make sure the customer knows that they are talking to a bot by welcoming them with some sort of welcome message. Nobody likes being told the same thing over and over again, so why do chatbots keep doing it? Bots should detect when they’re about to repeat a previously given answer and switch strategies. If the answer didn’t resolve the user’s needs before, repeating it certainly won’t either. From the user interface, to the dialog flow the experience should be pleasant, and information given to the user needs to be valuable and crisp. Twitter also provides the option to give your bot a custom name for different sections of the bot, which can be of use. It’s important to show what the chatbot is capable of doing with Quick Replies. The customer needs to be a guided stepwise within the conversation and with enough accessible options to choose from. Lastly, there must always be a way to end the conversation with the bot and switch to a human agent. Many bots today include a Quick Reply to “Speak to an Agent”. Certain actions, such as open-ended visual search, are challenging to complete in a messaging environment. In those situations, bots can route to a website or app to help the user complete goals they couldn’t execute within the context of chat. In a nutshell, a chatbot must be programmed to not just provide optimum solutions to problems, but also converse with customers in an engaging manner. The interaction must be exciting and the bot must appear to be curious enough to answer all queries. People prefer lively interactions and a chatbot needs to meet that expectation. For example, there are bots aligned with online shopping portals that can actually sense your liking and disliking. They can cancel orders for you accordingly and order the stuff that you actually want. Businesses are now moving way ahead than what anyone had ever thought of earlier. 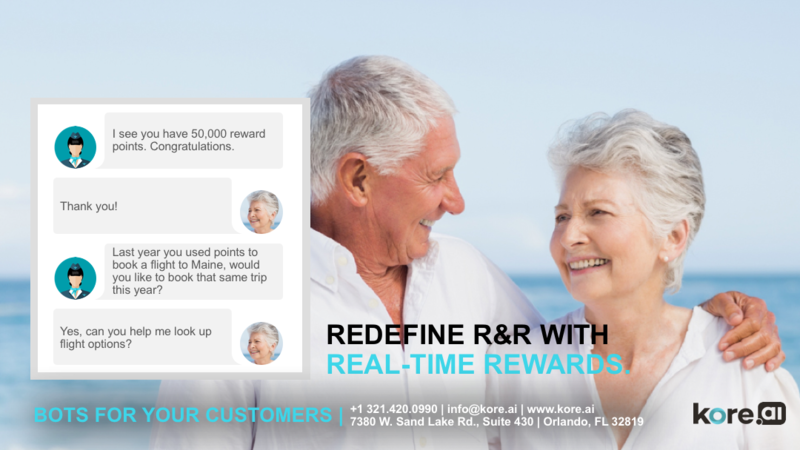 If we have an amazing concept like messenger or Kore.ai Bots Platform, then why not use them to the full extent. Their proficiency in collecting massive data in a short period of time can be used to forecast upcoming business. You know it better how to get edgy with this interesting concept. The more you experiment with chatbots, the more you would get to know the wonders you can create with these little machines. 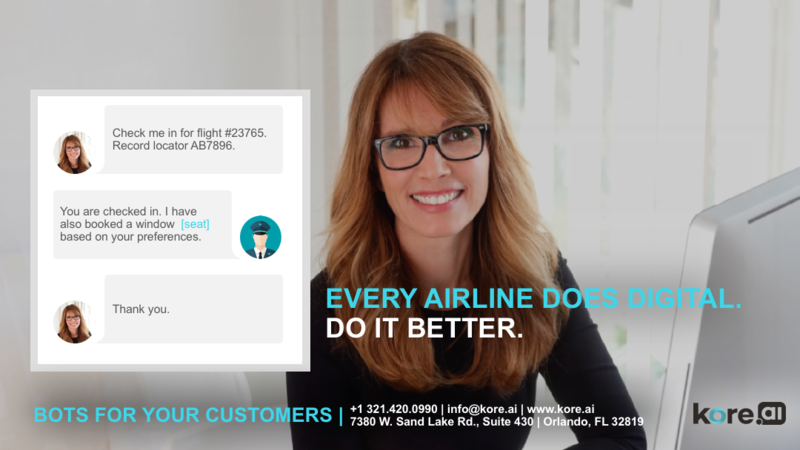 Some of the Global 2,000 companies and large enterprises are using Kore.ai Bots Platform to build their chatbots. How about you? To get everything you need to build and deploy intelligent, enterprise-grade chatbots — without unnecessary complexity, click on Build your first BOT. To ask questions, get tips, learn and grow with Kore.ai developer community, click on Ask questions on Developer Community.